Vassilissa the Beautiful is a Russian folktale collected by Alexander Afanasyev in Narodnye russkie skazki. By his first wife, a merchant had a single daughter, who was known as Vasilisa the Beautiful. When the girl was eight years old, her mother died. On her deathbed, she gave Vasilisa a tiny wooden doll with instructions to give it a little to eat and a little to drink if she were in need, and then it would help her. As soon as her mother died, Vasilisa gave it a little to drink and a little to eat, and it comforted her. After a time, her father remarried; the new wife was a woman with two daughters. Vasilisa's stepmother was very cruel to her, but with the help of the doll, she was able to perform all the tasks imposed on her. When young men came wooing, the stepmother rejected them all because it was not proper for the younger to marry before the older, and none of the suitors wished to marry Vasilisa's stepsisters. 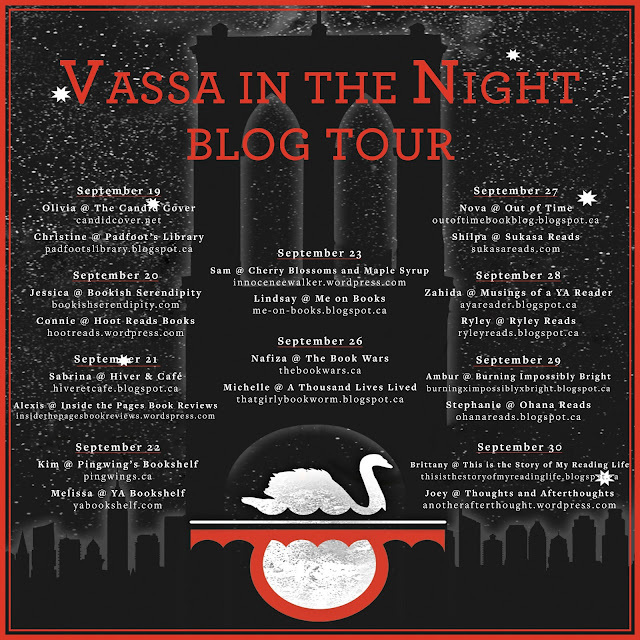 VASSA IN THE NIGHT takes this dark magical Russian folktale and is written for a new generation of young adult readers. Set in the enchanted kingdom of Brooklyn, where magic is to be avoided at all costs, the narrative follows the journey of Vassa and her wooden doll Erg. 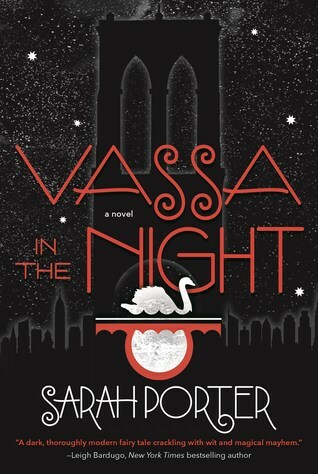 Vassa lives with her stepmother and bickering stepsisters. You will have to draw a family tree to understand just how the three are related to one another. It’s complicated. But, don’t worry if you can’t wrap your head around it, as it doesn’t really detract from the storyline. Babs Yagg (a.k.a. Baba Yaga from the original folktale) is a convenience store owner, who beheads thieves who have stolen from her. One evening her stepsister sends Vassa to the store to pick up a set of light bulbs. What ensues is an argument between the two sisters and in a attempt to be defiant and teach her sister a lesson, Vassa storms to Babs convenience store in the middle of the night. That's where the real magic happens and the story starts to take on a darker trajectory. Luckily, Vassa has her lucky charm, Erg. But still, the reader is kept on edge wondering if Vassa will escape Babs clutches. Will magic be enough? Babs has a few tricks up her sleeve and Vassa is going to have to fight for both her life and to save her neighbourhood from darkness and despair. The voice of Vassa is spot on. The sweet musky stench of rotting flesh on the breeze lets me know, as if I didn’t already, that we’re getting near the local BY’s. I turn the corner so I won’t have to see it all tangerine bright and glossy in the morning sun. BY’s does all kinds of public relations campaigns saying that they only behead shoplifters. They say law- abiding consumers don’t have a thing to worry about, and deterring theft is what lets them keep their low, low prices. Somehow everyone seems to accept that, more or less, even though you’d think the police or the mayor or somebody should really shut the whole chain down. I mean, beheading must at least count as a violation of the health code, right? But there’s a kind of atmosphere around BY’s that makes it hard to stick with the idea that they’re doing anything wrong. I’ve seen cops walking toward BY’s, and the closer they get the hazier they look, and their eyes start to go out of focus, and they get these quirky little smiles on their faces like they’re thinking, Boy, those darn thieves sure had it coming! I even used to think that sometimes, though it felt like the words were creeping into my brain through my ears. But Joel Diallo was about the straightest arrow in my grade and the last time I passed by his head was still up there, though it wasn’t all that fresh anymore. His mom was sitting balled up in the middle of the parking lot with tears dripping off her chin. At school everyone said his family couldn’t even get his body back. He’ll never have a grave. Someone had tied a few pink daisies to his stake, because what else could they do? It’s probably easier for the police to ignore since the people who get offed are mostly on the margins: immigrants who don’t know better, tough local teen agers, older women on heavy medication who go shopping in their nightgowns. Chelsea says that BY’s would never open a branch in Manhattan, for example, because the potential customers there would be too well- connected to kill. The wrong people would get upset. 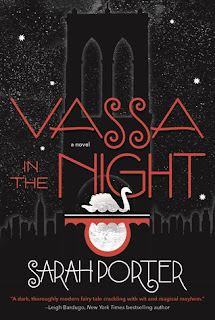 Vassa In The Night is published by Tor Doherty Associates, LLC, and distributed in Canada by Raincoast Books.